Micah Melling is currently studying economics at the University of Central Missouri. He has also studied economics and political theory at Georgetown University in Washington, DC. Micah attended the Institute for Leadership in the Americas in Santiago, Chile in January of 2014, where he studied economics and politics with students from around the world. 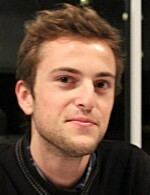 He is a co-developer of CompetitionUniversity.com, a popular e-learning website for high school business students. Alfredo Soland is an economics student from the National University of Rosario; he is also an investigator for the Bases Foundation. Alfredo attended the Institute for Leadership in the Americas in Santiago, Chile in January of 2014, where he studied economics and politics with students from around the world and where he met Micah. He also works in the Finances department of the community government of Rosario, Argentina. Abstract: This paper intends to be an eclectic one. The main purpose is not to judge the validity of a concept such as “market failure” but to use the theoretical framework designed to analyze such supposed failures to study one particular case that we call “governmental failure.” In this paper, we will specifically address the monopolistic issuing of money by the State. If any areas of improvement shall be found, they shall not be derived of the very idea of “failure” as it is generally understood in the microeconomics of welfare economics. Recension: The entry selected and published for the April issue looks at governmental failure in providing the proper quantity of money. The authors address failures of central banks, resulting from incentives and interests “that are contrary to what is best for the public”. Following the authors, “[m]otives to demand money may work in opposite directions, with different intensities in different points, meaning it would be a coincidence if the amount of money provided by the State was optimal”. In support of their view, they provide case studies from Latin American countries, showing “periods of higher money demand occur[ing] during periods of higher monetary stability, and periods of lower money demand occur[ing] during periods of lower monetary stability”. The authors, Micah Melling and Alfredo Soland, provide informative and thought-provoking arguments to the ongoing debate on public vs private money.